Toys/Games that would actually make decent movies. With Smurfs, Transformers, Battleship, Stretch Armstrong, Ouija, Real Steel (Rock'em Sock 'em Robots), and a supposed Ridley Scott adaptation of Monopoly what toys and games do you think would actually make decent movies? Glo Worm as an E.T. like kids movie? 500 mil at the box office. Also a live action Pokemon could possibly work. Re: Toys/Games that would actually make decent movies. SIMON: In a dystopian future where the answer to overpopulation is a new sensation where the wrong sequence means game over. Spirograph: The first human landing on a nearby comet reveals it to be a spaceship, whose sole navigational control is a set of spriographic discs, which set course to parts in the Universe unknown to man. Guess Who? : A random phone call leads to a guessing game where every question leads you one step closer to your assassin's identity. For Battleship, I would have done aliens as well, but I would have had the Earth ships traveling to an alien world where the seas are wire-framed into laser grids and a set of energy/fluid ships fire pegs, that upon contact, would vaporize that human ship's section. 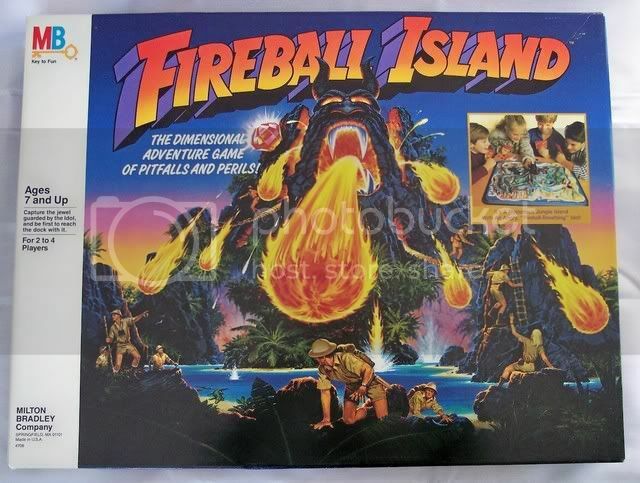 And what about a semi-inverse of this idea: movies that could have been reworked as board game adaptations? Changing Lanes could have been Sorry!, as it's basically a game of one-manship. Last edited by gmanca; 08-01-11 at 08:03 PM. For years his creepiness has only given children nightmares, but now he wants the adults to learn his lessons...Watch out for Teddy Ruxpin! In a world where pests have been conquered by chemicals and technology, one new race of insect has emerged with a deadly appetite for the flesh under your clothes. Can you survive with Ants in the Pants? A man wakes up trapped in a bizarre room with a giant unusual contraption. There's a 90 minute timer counting down by the locked door, and when it runs out the crank will turn, dropping a cage trapping him forever. Can he escape, or be caught in the Mousetrap? Whoever wins, your lonely child loses. I was going to say Candyland but that Katy Perry music video was enough. Could see this as a horror/comedy type movie. Jaws with hippos. I believe a screenplay for candyland is already in the works. It's being considered as lotr but with candy. Could see this as a horror/comedy type movie. Lake Placid with hippos. Wasn't My Buddy the inspiration for Chucky? There was a time when a Hot Wheels movie was in pre-production with McG to direct. I think Operation would make a decent horror film. I was coming in to post this exact game. I had so much fun playing that as a kid. I always thought the M.A.S.K. toys/TV show would have made a fun live-action movie; similar to Transformers where you have vehicles disguised as something else, but in this case it would be like the R.V. from "Stripes" on steroids. This is the story of the game "Candy Land," where a gingerbread boy named Jib, as he travels the Rainbow Road in search of the annual Sweet Celebration only to discover that the nefarious Lord Licorice has hatched a plan to turn the brightly colored land into a licorice-hued expanse. Now it's up to Jib and his friends Mister Mint and Princess Frostine to foil the villain's dastardly plot and save the citizens of Candy Land from certain drabness. Beast Wars with the right director. Any iteration of The Transformers with the right director. I just got this image of the climactic scene in the movie when a group of teenagers is clustered together in the middle of a one room square cabin, with 4 ravenous Hippos poking their heads in the doors and windows. You beat me to it! And I'm quoting the pic again because the cover of that game was so dang awesome! !